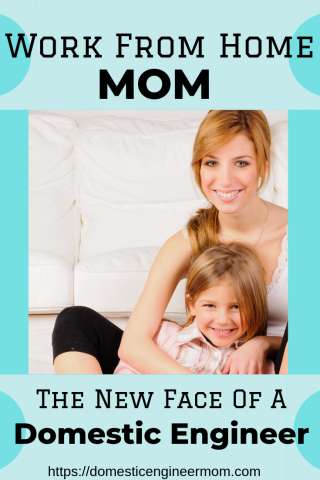 A new site has launched as they face of the stay at home mom, called Domestic Engineer Mom. It showcases the journey of owner Robbin as she juggles the many hats of home and business life, and offers guidance on a range of topics. Domestic Engineer Mom has launched, a new site with a focus on being the face of the new stay at home mom. It highlights how moms responsibilities have evolved over the past couple of decades, and now they are not only in charge of the household and taking care of the children, but a host of other jobs as well. One of the ways in which the role of the mom has changed is that they are now taking charge of their children’s education and often schooling them from home. In addition to this, moms are starting their own companies from home and becoming very successful at doing so. As a result of this, moms are becoming financially independent and contributing to the finances of the family. Work-from-home moms are changing the way they run their households, building their own empires while looking after their children. Domestic Engineer Mom is run by Robbin, who chose the name Domestic Engineer because she wears many hats. She is the mom of four children, and she writes about trying to find balance between the many hats she wears. Women in today’s world are taking on much more than their mothers did before them, and are having to keep up with an ever-changing working landscape. They are also tackling more responsibilities than ever before. The Domestic Engineer site was created to discuss this, and showcase the skills that stay at home moms possess. Readers are able to follow on, learn from her on a range of topics, and engage with the site to develop their own domestic engineer lifestyle.